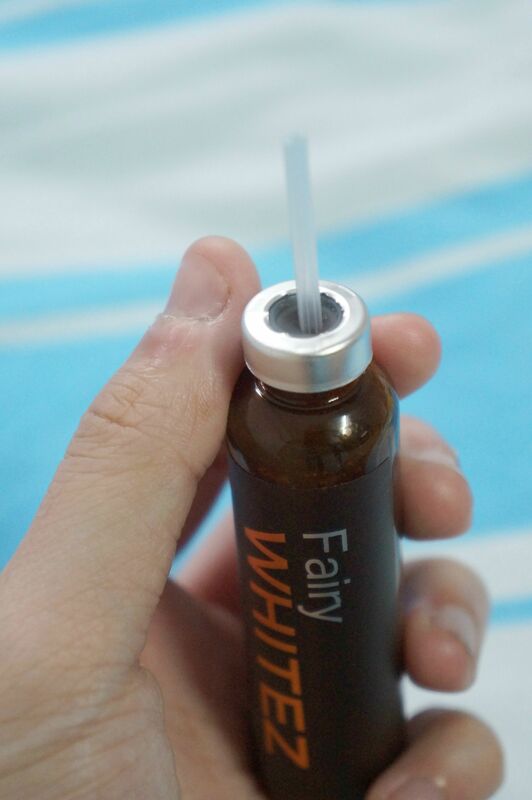 As the title said, this is a quick a review on Fairy WHITEZ beauty drink. Some people may came across of it as there are reviews on the Internet. Just in case for those who heard of Fairy WHITEZ for the first time, this is a beauty drink that helps to beautify your face. 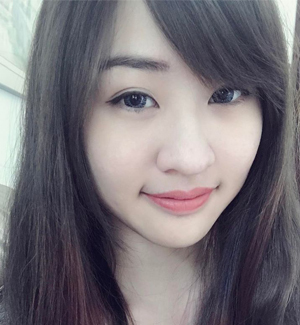 Fairy WHITEZ helps one to achieve a youthful and more radiant skin. 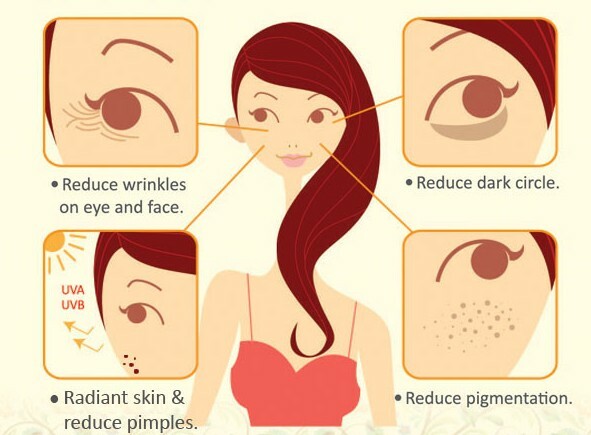 With the help of effective ingredients, this drink enhances one's complexion and restores suppleness. Mulberry and Lingonberry are two powerful natural ingredients found in Fairy WHITEZ. They contain high antioxidant activities and helps to protect the skin against free radicals. Salmon Placenta can be found in the formula as it helps to repair old and malfunctioning cells, causing one to have younger plumping skin. Kiwi Seed Ectract as another key ingredient in the formula helps to reduce wrinkles and development of acne, causing one to have a healthy and radiant skin tone. 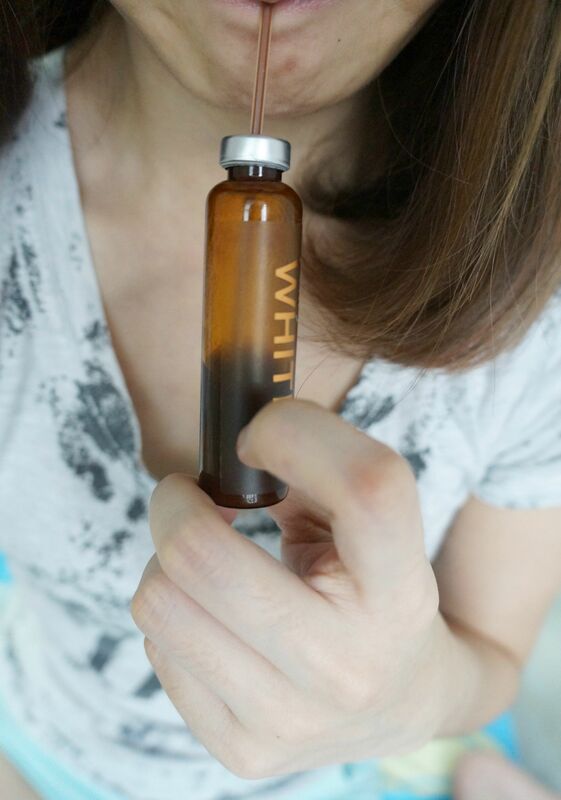 It is a small bottle where you can bring it to anywhere you want. It is advisable for you to consume the drink before breakfast in daily basis. Remove the cap before you insert the straw into the bottle. 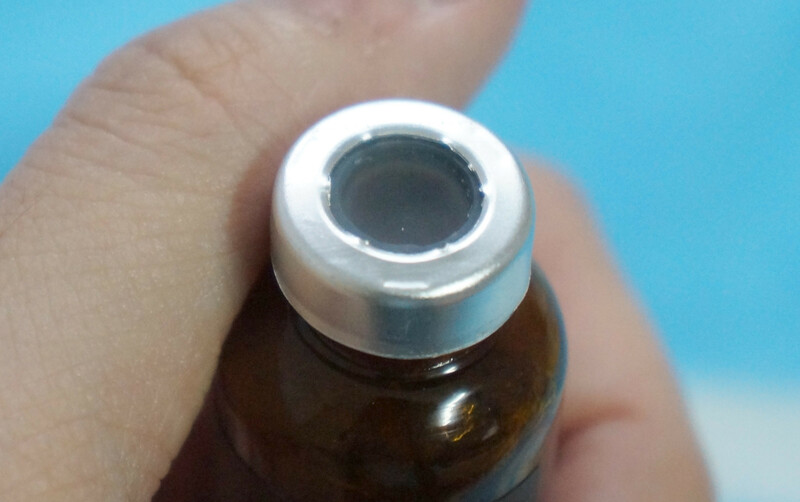 The bottle is sealed by a rubber cover with aluminum foil wrapped around it. You would need to shake well before you poke the straw into it. After you have shaken well the bottle, use the given straw and poke through the rubber cover. You would need to use some strength in order for you to poke through it. Have fun and enjoy! As you can see in the image, the drink is in brown color. It tasted like a apple cider juice with thicker texture. Nope... My dark circles remained as it was. Oh well, guess I will need to have a healthy sleeping routine then. 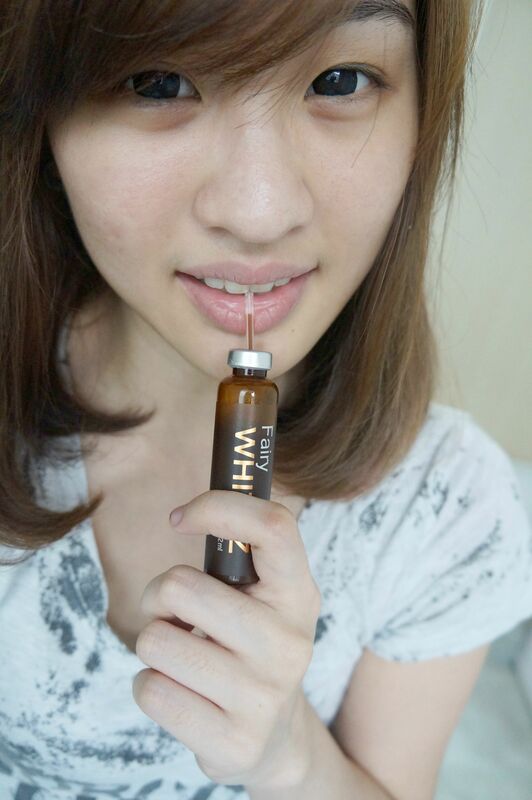 Surprisingly, my dark spots and scars went lighter after consuming the Fairy Whitez.